You have already read about my struggles in feeding Rap during the dreaded Diet Shift years. Those times were definitely stressful for both of us. He can starve himself just so he wouldn't get to eat food that he doesn't like. I, on the other hand, was at my wits end in finding ways of getting him to eat more nutritious food. He's turning 13 next month and he's still a picky eater. Somehow, I'm glad that the worst part is over and his choices are becoming more healthy compared to when he's younger. Having the same problem with your child? Don't fret! Experts say that the Diet Shift stage is but normal for kids 4 years and older. 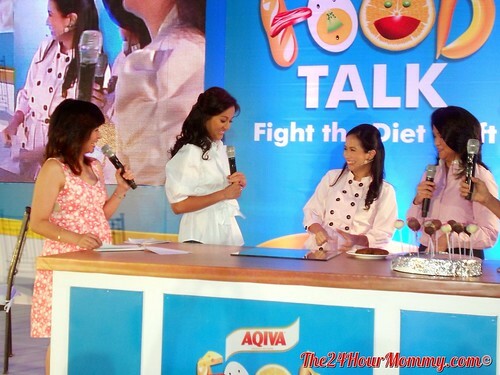 At the recently held AQIVA Food Talk, I learned that I am not the only mom who experienced troubles during this stage. During the talk, Mikee Cojuangco-Jaworski shared her "diet shift" experiences with her three boys and she admitted that it was always a different challenge with each child. It was so funny that I also experienced with Rap most of her experiences with each child. I remembered the time that Rap slept while seated in front of the dinner table because I wouldn't let him leave without finishing his food. Guess what? He woke up from his nap with the ball of chewed food still in his mouth! Parang camel lang, hay naku! 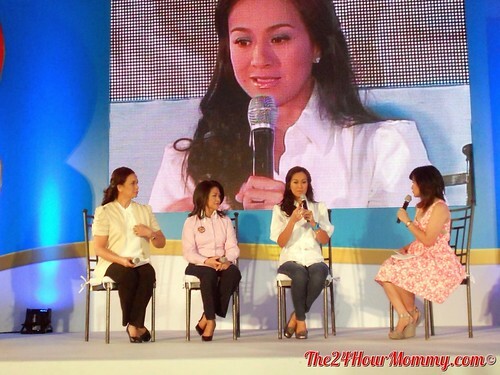 (L-R) Nutrition expert, Luchie Callanta; Developmental and Behavioral Pediatrics Specialist, Dr. Bernadette Benitez; Celebrity mom, Mikee Cojuanco-Jaworski,; and, DJ and mom, Delamar Arias who hosted the event. Meanwhile, child health and nutrition experts shed light to most of our questions regarding the cause, threats, and ways of dealing with Diet Shift. Dr. Bernadette Benitez, a Developmental and Behavioral Pediatrics Specialist who currently serves as the Medical Director of Wyeth Nutrition Philippines, and a consultant the Asian Hospital, Medical Center in Alabang, and Makati Medical Center, talked about how real the Diet Shift is, citing reasons and the usual age when it occurs. Ms. Luz Callanta, Nutrition Expert and Lecturer, discussed the nutrients commonly at-risk during the Diet Shift phase given the child’s poor nutritional intake, and the importance of these nutrients in the child’s growth and development. Dr. Benitez said that pickiness for food heightens at age 4 because that's the age when a child starts eating sugary snacks from his baon or fried and crunchy food from frequenting fastfood restaurants. Meanwhile, Ms. Callanta maintains that proper nutrition is definitely needed during a child's growth and development years so parents should make it a point to address the gaps in nutrition during the Diet Shift phase. One way to keep children eating nutritious food during this difficult stage is to prepare food that are not only healthy but are also fun and exciting to eat. Celebrity chef Jackie Laudico of Bistro Filipino taught us a few of her food "dressing-up" tricks to make her children eat and I really had a good time with my mommy blogger friends during this activity. 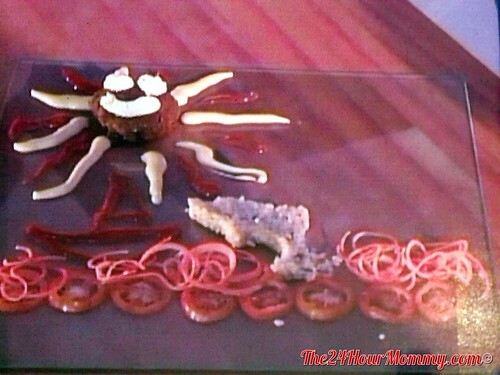 (L) Mommy bloggers having fun making healthy canapes. 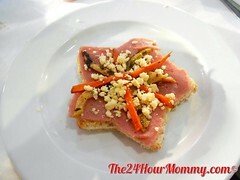 (R) My ham and cheese (with eggplant and carrots) canape. Finally, the experts agreed that having children drink milk during this stage helps bring in the most-needed nutrients to their diet. 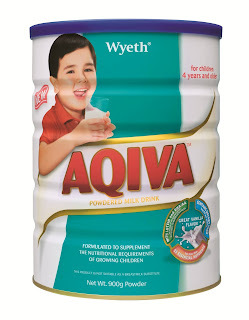 And what better milk to have but one that is formulated with A.Q.I (Adequate, Quality, and Important) nutrients like AQIVA. 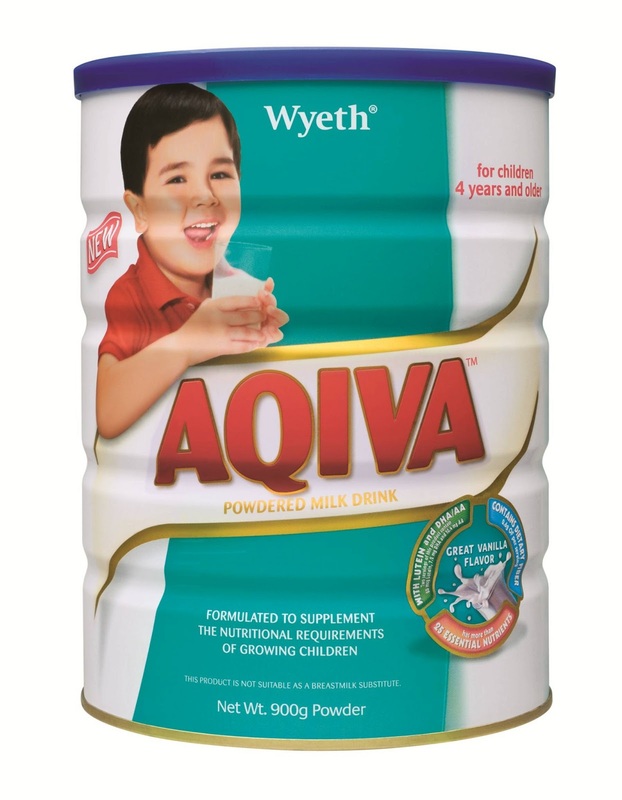 AQIVA is packed with 40 ingredients including 25 essential nutrients scientifically designed to support the child’s nutrition as parents teach them healthy eating habits, especially during the Diet Shift phase. Have your kids drink a glass of AQIVA with each fun and healthy meal that you prepare and you won't have to worry about this Diet Shift stage anymore. AQIVA’s mission does not only stop in providing nutritional supplementation to children, but also extends to creating awareness and spreading information on teaching mothers how to help their child learn healthy eating habits, to fight the Diet Shift. For more information on Aqiva, parents may call the Wyeth Careline at 81-WYETH (81-99384) for Metro Manila, and 1-800-10-884-2222 (toll-free) for provinces. 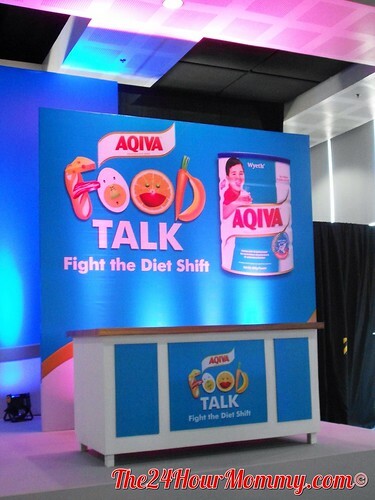 For more information on AQIVA and the Diet Shift phase, you may also log on to www.facebook.com/AqivaPH.